An anniversary is a great milestone in the Chinese culture; from an individual’s birthday to a couple’s wedding anniversary. 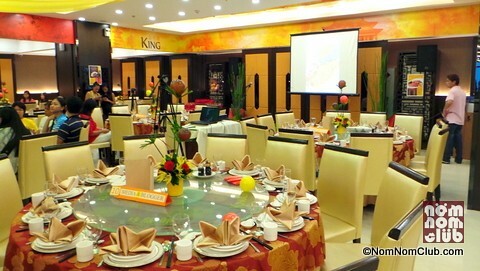 We witnessed several weeks ago, June 2013 to be exact, the 1st anniversary of King Chef Seafood Restaurant in a festive Chinese tradition in their Lucky Chinatown Mall branch at the 2nd floor. 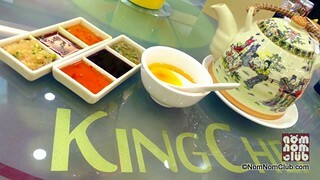 We first got a taste of King Chef‘s dishes in its Banawe branch where it all started a year ago. So it was a delight to join them again in this momentous event. Although lunch started a bit late at past 12 noon, it was worth the wait. 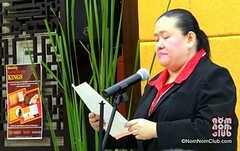 The program emcee opened the ceremonies with a prayer and a game to perk up the crowd. 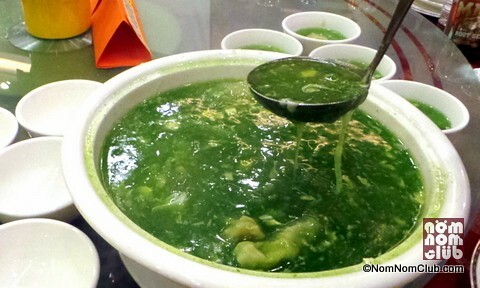 This was immediately followed by the parade of waiters serving the traditional dumplings in Seafood Spinach Soup. It was welcomed with eagerness by the guests’ hungry stomachs and was wiped-out in a minute or two in each table seated with 10-12 guests. Another traditional dish served was the Assorted Cold Cuts Combination for appetizers. 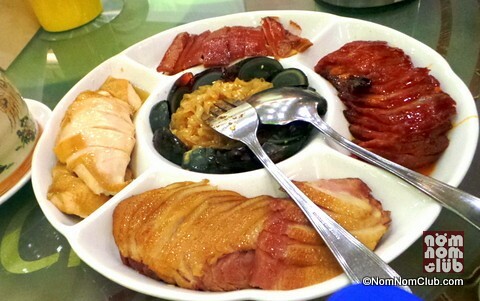 Chunks of chicken, pork, and duck were carefully placed about the plate section with seaweeds and century egg slices at the center. 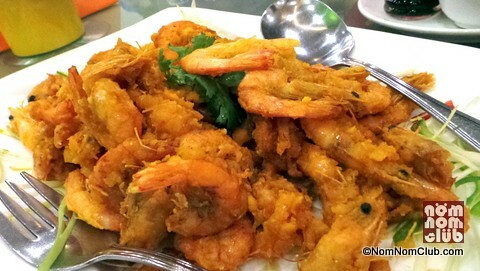 The first main dish that came about was the Deep-fried Suahe with Salted Egg. Deep fried in Chinese style, the shrimp was cooked just right and not too salty. 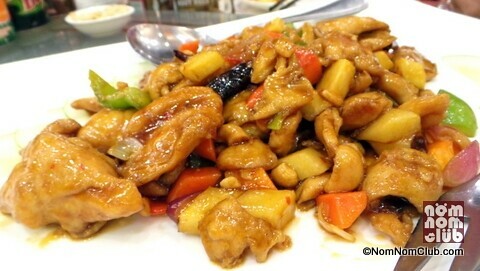 It was shortly followed by the colorful stir-fried Kung Pao Chicken. But what I liked most about the entree was the fried spareribs. 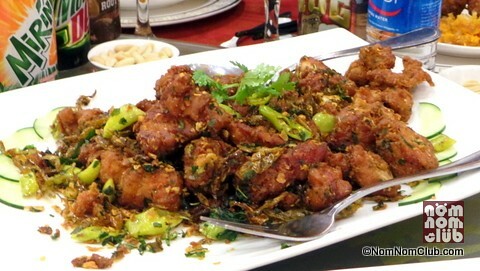 It’s called the Fried Spareribs with Eight Spices. I guess it’s the latter which lent it the burst of flavors from aroma to the meat. Best of all, the meat was tender which most spareribs dishes fail at. Sadly I had to miss the subsequent dishes such as the Stuffed Eggplant in Japanese Sauce, Fried King Fish in Mango Sauce, Typhoon Shelter Crabs, and the Birthday Noodles. The desserts Almond Fish Gelatin and Mango Balls missed me as well. This was because I had to leave earlier than the rest at a little past 2pm due to a prior commitment. 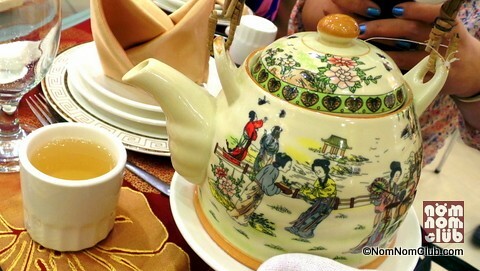 It was a great Chinese lunch nonetheless and we wish King Chef Seafood Restaurant more years to add to their success!